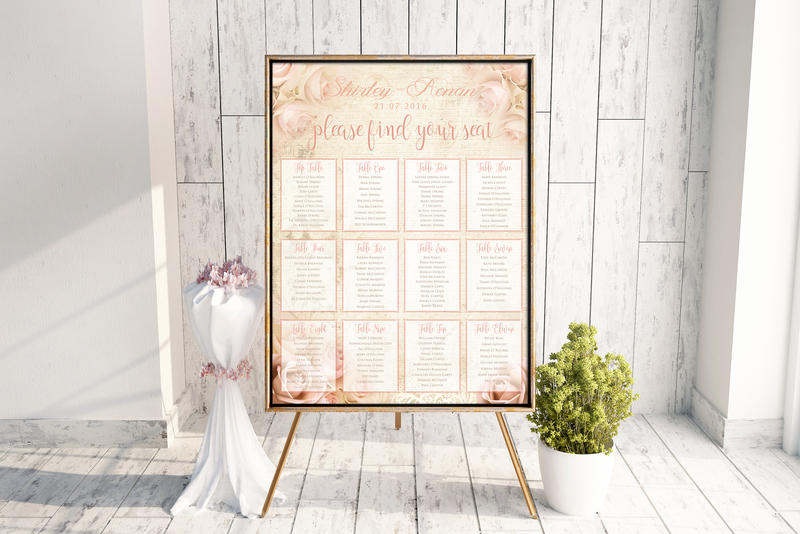 If there’s one thing that everyone’s guaranteed to look at during your wedding reception, it’s the wedding table plan! Guests are saved from the mad panic of trying to find a seat on a table with their friends/family. You can place people where they’ll be happiest! It will make a big difference to their enjoyment of the day and yours and will certainly help things run smoothly! Easel not included. Past experience of our team here at The Invite Hub attending weddings as guests would suggest that a table plan placed right inside the reception or foyer area of the hotel or wedding venue is a great way of eliminating any confusion among guests when it comes to seating. 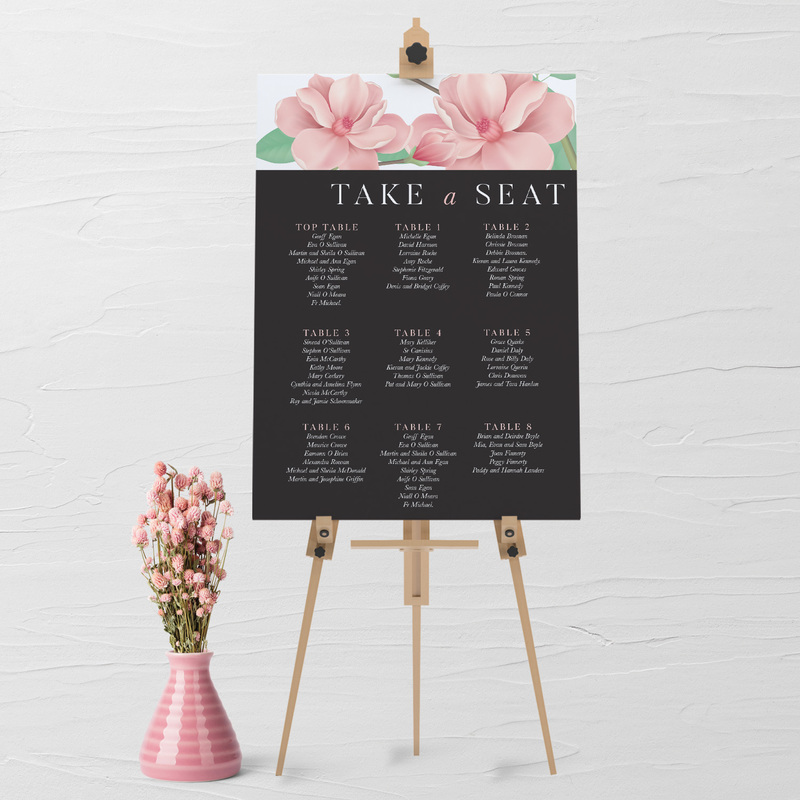 Two table plans as opposed to one seating plan is a great idea as it cuts out bottlenecks that can occur around a seating plan. 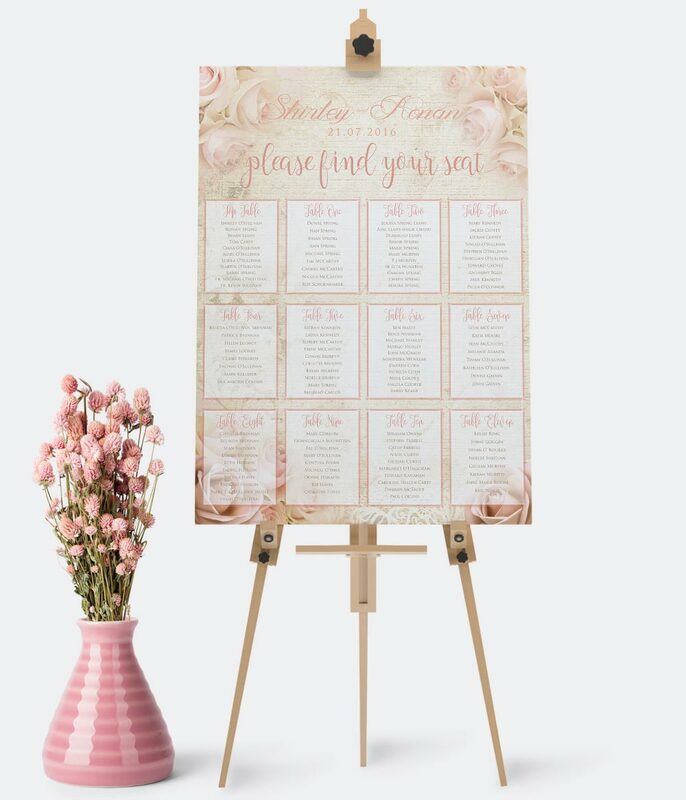 If there is a particular size of table plan that you need that is not a problem, we can create these prints in any size. Our Table Plans are A1 (Eight times A4) 840x594mm. If you would like a frame for your print after you event, we suggest visiting IKEA and you will be able to find a simply white A1 size frame. The print is 840x594mm / 33.11×23.39 Inches.